Not the first time Sony Ericsson are trying to mix man and robot. But this time they're not simply putting the W in Android. The Live with Walkman is part of the company's ongoing effort to bring their smartphone lineup up to date. The next one due for upgrade is the Sony Ericsson W8. Just like its predecessor, the Sony Ericsson Live with Walkman puts the music in your pocket without scraping the cash out of it. It's more than a music player though - a 5 MP cameraphone and a Gingerbread-powered smartphone with all the right features for the money-conscious buyer. The Live with Walkman has the refreshed Xperia styling of the new Minis and the Ray. It's basically the same phone as the new Xperia mini - minus the ultra-compact chassis and the Bravia screen. What you get in return is the Walkman credentials. The Live with Walkman does well to build on the X8 with a 5MP autofocus camera and HD video, a 1 GHz Snapdragon processor and bigger screen. Here's the Live with Walkman at a glance, with all the likes and dislikes. The Sony Ericsson Live with Walkman is designed for music lovers and tries to stay focused on things that matter to a presumably younger audience. To be honest, both the xLOUD audio enhancement and TrackID are available across the entire Xperia lineup, so no bonus points for the Live with Walkman. There's an obvious effort though to make a familiar design more upbeat and attractive - bright color branding and flashing lights. 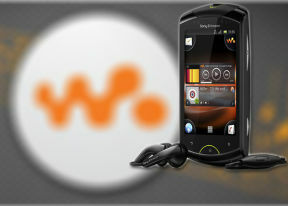 The traditionally good social package in Sony Ericsson droids will be another plus for the younger users. So, this looks like a phone with a pretty good idea of who its customers are. Hovering around the $200 mark, it is a reasonably priced package for the features offered. You could well be looking at free-on-contract deals too. It's not a particularly hard one to recommend but this review will hopefully help us all look at the bigger picture. Android and Walkman have been known to work - let's see about the Sony Ericsson Live. Still using it in 2018. Upgraded OS to CyanogenMod v11 (KitKat 4.4.4). Replaced battery to new one (seems the old one was in good comdition). Excellent! Flawless.